President Donald Trump has repeatedly said he would set high ethical standards at Veterans Affairs, yet his appointees for the VA transition team have "questionable histories." After years of scandals that have plagued the Department of Veterans Affairs, President Donald Trump promised an ethics crackdown. 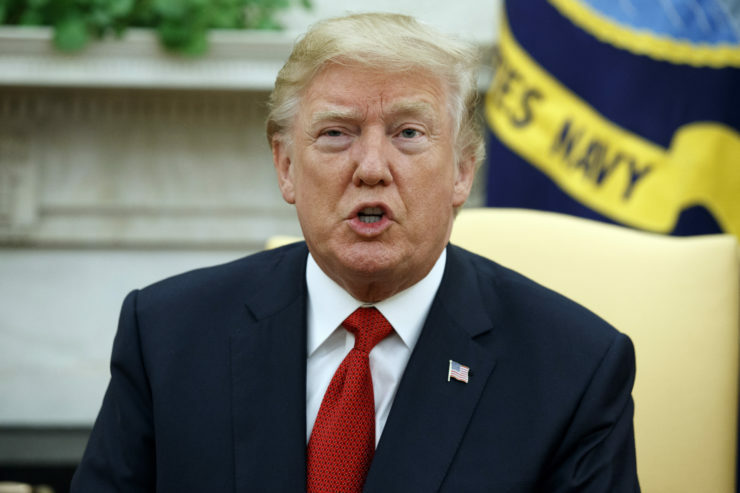 But when he formed his VA transition team, Trump brought in a onetime VA staffer implicated in a hiring scandal and a former congressman who was criticized for alleged financial improprieties at a charity he founded. And although under Trump the VA has fired more than 1,000 employees, the administration has made no move against a VA executive implicated in improper spending both at the VA and at a prior federal government post. Trump has repeatedly said he would set high ethical standards at the VA, and vowed to terminate employees who abused their positions. The problematic backgrounds of some of Trump’s VA appointees are cause for concern, said Scott Amey, general counsel of the Project On Government Oversight, a nonprofit organization that monitors government effectiveness. It’s a mistake, Amey said, to appoint officials with “questionable histories” to transition teams, which play a key role in “helping the agencies get up and running” in a new administration. Government employees who are “operating for personal and private gain should be forced out of public service,” he said. The VA transition team official with the problem-plagued charity is Steve Buyer, a Republican who was an Indiana congressman from 1993 until 2011. 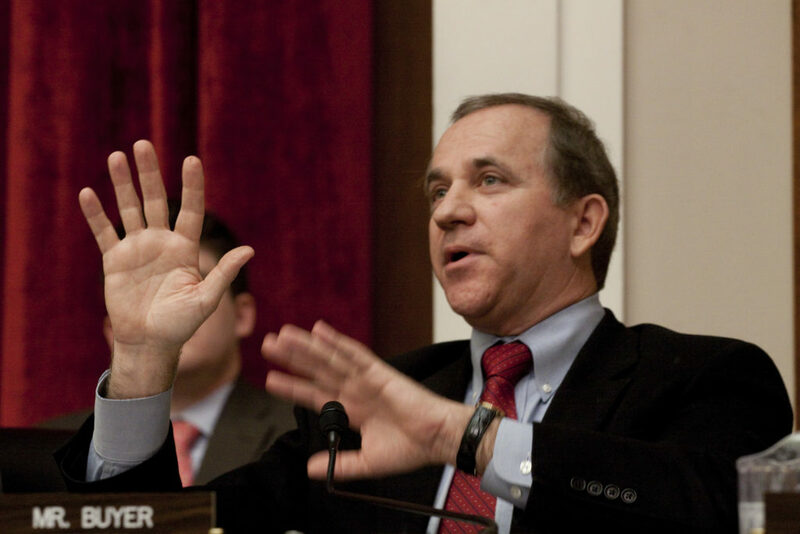 He served as chairman of the House Veterans’ Affairs Committee from 2005 to 2007. His political career ended after a government watchdog organization, Citizens for Responsibility and Ethics in Washington D.C., filed a complaint accusing him of paying for “lavish golf outings” with money from a charity that he set up. Soon after the complaint was filed in January 2010, Buyer announced he would not run for re-election, saying his wife was ill with an incurable autoimmune disease. Buyer had founded the nonprofit Frontier Foundation in 2003 to give college scholarships to Indiana students, according to an IRS filing. Six years later, the foundation had raised $830,140 much of it from interest groups that had business before a health subcommittee on which Buyer served. But the charity still hadn’t awarded a single scholarship, according to its filings. Instead, the foundation spent heavily on golf tournaments in the Bahamas and similar fundraising charity events that were attended by lobbyists and political donors, CREW alleged. Buyer denied wrongdoing. After he announced his retirement, the Office of Congressional Ethics decided not to take action on the complaint. Since leaving Congress, Buyer has worked as a Washington lobbyist for R.J. Reynolds Tobacco Co. and other firms. In a phone interview, Buyer declined to comment on whether the Trump administration had asked him about his charity before appointing him to the VA transition team. Ron Thomas – who as a VA official in 2007 met with participants in the Little Caesars veterans employment program – now is on Trump’s VA transition team. According to a 2010 inspector general report, Thomas used his VA connections to get his wife an executive post at the agency. Credit: PRNEWSFOTO/Little Caesar Enterprises Inc. The transition team official who was once embroiled in a VA hiring scandal is Ron Thomas. He served as deputy assistant secretary for policy at the VA in 2007, according to his LinkedIn profile. After he left to work in the private sector, he leveraged his contacts to get a $100,000-a-year job at the VA for his wife, Raquel Thomas, with consequences that hurt taxpayers’ pocketbooks, the VA inspector general wrote in a 2010 report. In August of 2008, Ron Thomas sent his wife’s résumé to a friend, Willie Hensley, who was an official in the VA human resources office, according to the inspector general’s report. Both the Thomases’ names were redacted from the report, but Raquel Thomas confirmed to the Washington Examiner that the report was about her. When Hensley pushed Raquel as a candidate for an executive post at the Office of Human Resources and Administration, another staffer said she wasn’t qualified. Raquel, a former Mrs. America runner-up, was hired anyway. Once on the job, colleagues reported that Raquel boasted about her husband being “tight” with Hensley so she could get “anything she wanted,” according to the report. She also told co-workers she had inflated her past salary by nearly $70,000 to get a higher rate of pay at the VA, according to the report. Employees reported morale issues in Raquel Thomas’ office as she told employees that “there would be a ‘wrath to bear’ ” if anyone “cross(ed) her,” the report said. She had an “unproductive communication style” and was “incapable of performing team leader duties,” according to the report. The inspector general ruled Hensley had acted improperly in hiring Raquel Thomas and keeping her on the job. Hensley told the Examiner he left the VA voluntarily after the report was issued. Raquel Thomas remained with the VA, working as a management analyst in the human resources office. One year later, she helped set up a VA conference in Orlando, Florida, that billed nearly $800,000 in “unauthorized, unnecessary, and/or wasteful” expenses, according to a September 2012 VA inspector general’s report. Items purchased for employees attending the conference include tickets to a Rockettes show, a helicopter ride and a golf package, according to the report. Again, Raquel Thomas’ name was redacted from the 2012 report, but her husband confirmed her identity to the Examiner. She later left the VA.
Ron Thomas declined to comment for this story, and Raquel Thomas did not respond to multiple requests for comment. A White House transition team representative declined to comment on whether the administration had known about the hiring controversy. The high-ranking VA employee who has kept his government job despite criticism over his use of public funds is Reginald E. Vance. Before going to the VA, Vance worked at the National Park Service, serving as chief of its business and finance office from 2003 to 2008, according to his LinkedIn profile. A 2008 report by the Department of the Interior’s inspector general said that Vance had misused his government credit card, paying for a hotel room, rental cars and gasoline when he was not traveling on government business. He also ran up $2,606.63 of unauthorized cellphone charges, per the report. The inspector general referred Vance to the Department of Justice for potential prosecution for the theft of government funds, according to a 2012 report subsequently written by the VA’s inspector general. Vance was not prosecuted “pending administrative action by the government.” Vance was notified that the government intended to fire him and he resigned, the report said. When the VA hired him the following year, he didn’t disclose the circumstances of his departure from the Park Service. At the VA, Vance served as director of learning infrastructure for an educational program called VA Learning University. Soon, the VA’s inspector general was called in to investigate Vance for more alleged spending improprieties. In a 2012 report, the inspector general found that Vance traveled early to a Maryland golf resort before a conference, rented an upgraded rental car with “inadequate justification” and kept it an extra day. The inspector general concluded that Vance didn’t follow travel regulations, misusing government funds for a second time. The inspector general recommended that administrative action be taken against Vance, but he kept his job. Vance’s attorney said his client had not authorized him to comment. VA media representatives also did not comment on Vance’s employment. Lance Williams contributed to this report. This story was edited by Amy Pyle and copy edited by Nadia Wynter. Reveal intern Ben Leonard can be reached at bleonard@revealnews.org. Follow him on Twitter: @Ben___Leonard. Appointee No. 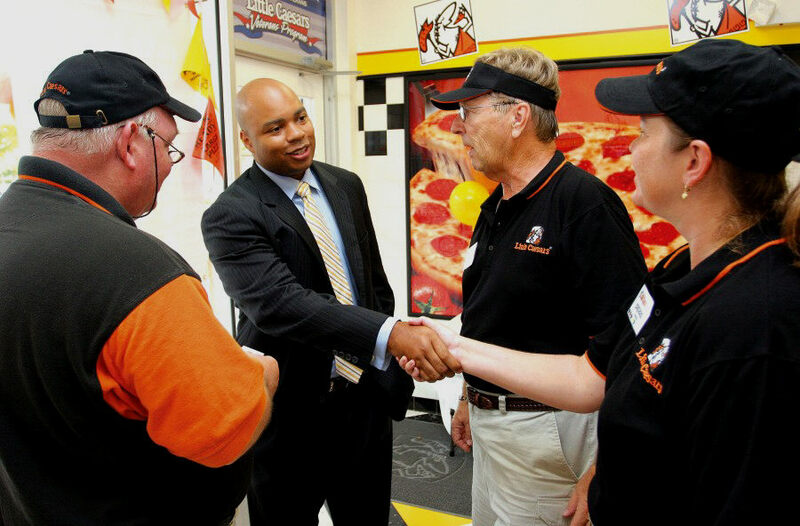 2: He helped ‘incapable’ wife get a VA job Ron Thomas – who as a VA official in 2007 met with participants in the Little Caesars veterans employment program – now is on Trump’s VA transition team. According to a 2010 inspector general report, Thomas used his VA connections to get his wife an executive post at the agency. Credit: PRNEWSFOTO/Little Caesar Enterprises Inc.